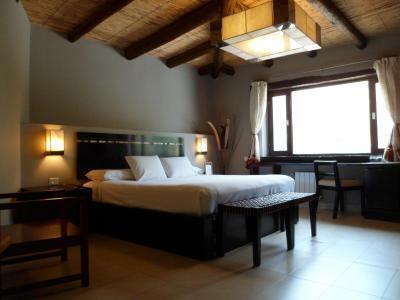 Lock in a great price for Terrazas de la Posta – rated 8.6 by recent guests! Excellent stay! I was amazed by its view from the window. The room was super comfortable, clean and relaxing. The staff is wonderful, extremely helpful and kind! Beautiful large room and bathroom. Very clean. Comfortable large bed! The host was lovely and kind. A welcome retreat after staying in a small backpackers. Lovely property, big bed, very comfy rooms. Great location . Todo muy ameno, la habitación muy moderna y cómoda, solo en un momento nos fallo el agua caliente, el resto, diez puntos. 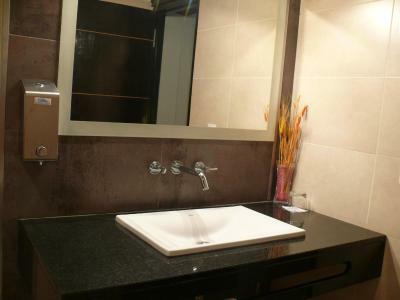 El baño amplio, sin bañera. El Desayuno galletas para celiacos, muy rico. La ubicación es excelente. La tranquilidad del lugar. 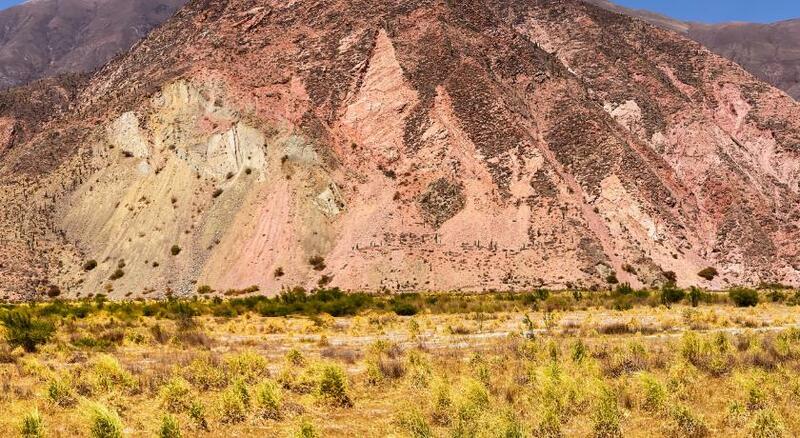 El personal muy atento, sobre todo Verónica, que nos recibió y con mucha dedicación nos explicó que hacer en Purmamarca y en la quebrada. Excelente atención, están en todos los detalles. Cuando íbamos a salir nos dijeron los lugares que había que evitar por ciertas de ruta relacionados a actos políticos. Terrazas de la Posta This rating is a reflection of how the property compares to the industry standard when it comes to price, facilities and services available. It's based on a self-evaluation by the property. Use this rating to help choose your stay! 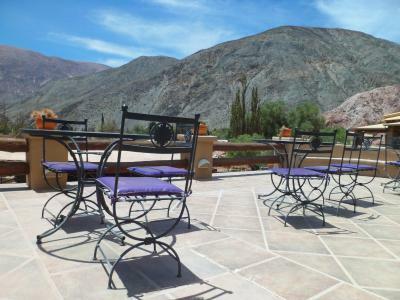 Located on the foot of a natural viewpoint, Terrazas de la Posta offers rooms with free Wi-Fi and plasma TVs in Purmamarca. Free parking is provided, and there is a garden. The city center is 1,000 feet away. Decorated with gabled roofs and tiled floors, rooms at Terrazas de la Posta are fitted with satellite TV. Some of them have air conditioning. Terrazas de la Posta is 68 mi from Guzman Airport. When would you like to stay at Terrazas de la Posta? Features 32" plasma TV with satellite channels and a safety deposit box. 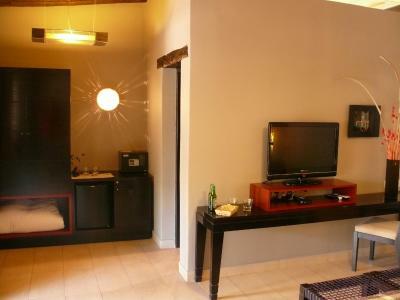 This spacious room features air conditioning, a safe and a 32" flat-screen TV. 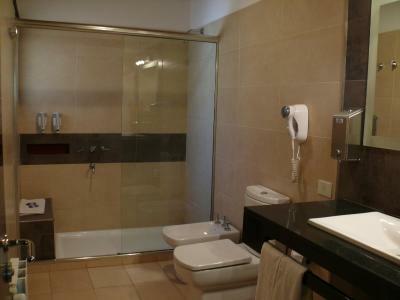 The private bathroom is completed with a shower, free toiletries and a bidet. The unit also has a king-size bed, a work desk, a seating area and heating. Bed linens, towels and a daily breakfast are included. House Rules Terrazas de la Posta takes special requests – add in the next step! Cash Terrazas de la Posta accepts these cards and reserves the right to temporarily hold an amount prior to arrival. The Booking.com price is not the price that you have to pay. They ADD 21%. When you book with booking.com they don’t let you pay with creditcard. So you have to pay cash...and when you pay cash the hotel adds the 21%tax. It is in the conditions you agreed when you book. That’s right but when you book it is nowhere mentioned that you HAVE to pay cash. If I had booked the hotel direct I could pay with a card and pay less. I explained in the hotel that this was ridiculous and that they should also accept my payment by card but no... To me this is a scam. Breakfast very limited and not served until 8am. Excellent rooms and location. Parking. Wifi. Cannot pay with the credit card (need to pay tax we should not have paid if we could use the credit card). Staff a bit shy. I was charged $500 AR extra with no explanation. The receptionist could not speake any English and my Spanish is basic. I'm guessing it was because I checked in 3 hours early. But I was the only guest so seems rough to charge me. I would have been happy to come back a few hours later.given there is so much accommodation available in this lovely village I would choose else where as this is not value for money. For one of the most expensive hotels in town, lots of issues. Things were falling apart everywhere, they did not take a credit card, the breakfast was mediocre, and the internet connection was impossible in the room, and a struggle, at best, even in the lobby. While it is not extremely important in a remote location like this, there was absolutely no English. This hotel would have been satisfactory at half the price, but not for what they charged! Room was too warm. WiFi wasn't great. Staff spoke no english and couldnt even order the correct taxi. Breakfast was sparse. Modern clean rooms and facilities. Good location. The old skeleton keys for the doors looked great but did not work well. Great terraces and views. An Oasis! broken light fittings and bulbs in an expensive hotel really bad. Shows nobody cares about the visitor.